Auditions for the Academy’s Phenom SoundSport team are coming up on January 30. This Blue Devils member’s special tribute in recognition of Pearl Harbor Remembrance Day went viral. The Blue Knights report that their participation in the 2015 edition of Colorado Gives Day was a tremendous success. The more you spend, the more you’ll save as part of the Bluecoats’ holiday sale. It’s spring winter cleaning for the Boston Crusaders. Lend a helping hand as the corps cleans up its Hyde Park, Massachusetts headquarters the morning of Saturday, December 12. The Cadets’ iconic uniform has been transformed into plush pillow form. Order by December 18 to save 40 percent. The Cavaliers’ holiday sale gives you 35 percent off and free shipping with orders over $50. Check out these pics from Genesis’ recent audition camp at Stony Point High School in Round Rock, Texas. 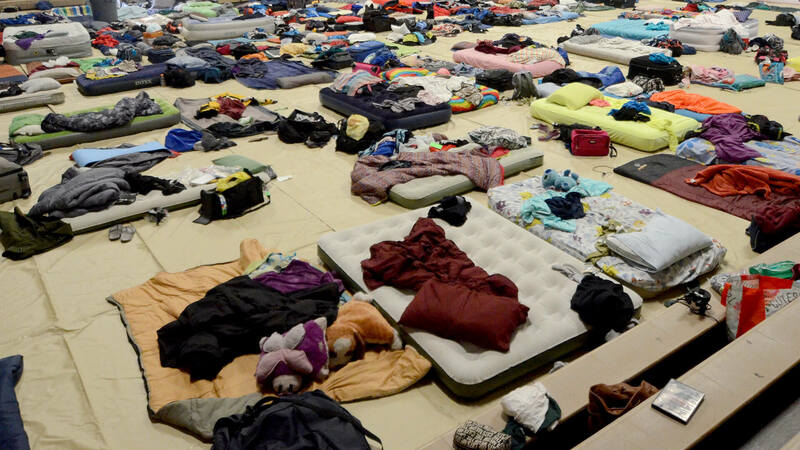 Jersey Surf shows us what a sleepover with 149 of our closest friends looks like. The Madison Scouts will make a “MAD DASH for Music Education” on July 10, hosting a nationwide 5K run/walk to benefit the music education initiatives of the organization. The Mandarins announced the members of its 2016 brass leadership team. "With some new faces—as well as many staff members returning—it will be exciting to see the brass line grow from now until finals week," Caption Head Dan Fong said. Longtime judge and DCI Hall of Fame member Marie Granna Czapinski will join Phantom Regiment as a visual staff consultant in 2016. Santa Clara Vanguard has been representing Drum Corps International in Taiwan this week. See what the ensemble’s members have been up to. Did you know that this year marks Spirit of Atlanta’s 40th season? Check out these scenes from the corps’ recent rehearsal camp.